We're thrilled that Blenheim Vineyards opened their Pop-Up Rooftop Wine Garden in the "Tower at feast!" this past Friday! The wine garden will now be open every Friday 4-7pm and Saturday 1-6pm through October 22 with tastings, wines by the glass and bottle, live music, and food from feast! Help Habitat for Humanity celebrate their 25th anniversary in Charlottesville! 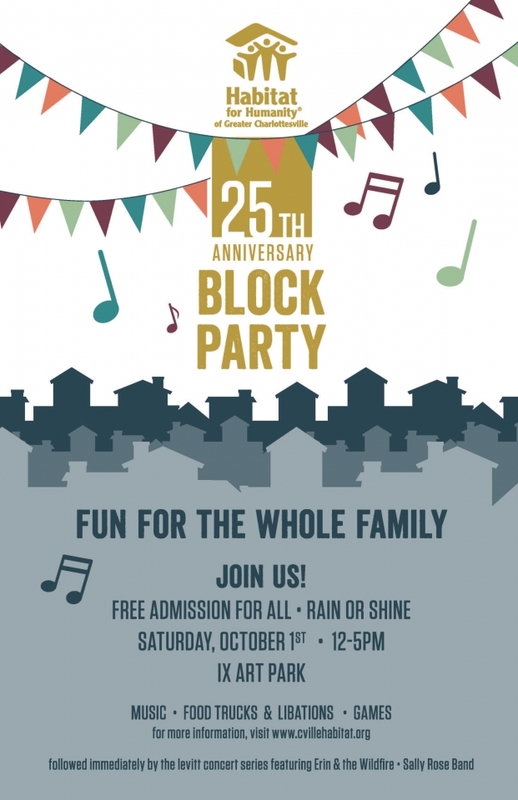 To celebrate they'll be hosting a Block Party at IX Art Park on October 1 from 12pm to 5pm. The family-friendly event will feature a Habitat build project, live music, food trucks and libations! Activities for the kids include a Lego build, bounce house, and facepainting. As well as an opportunity to learn more about Habitat's mission, projects that have been completed in the area, and one's they're planning for the future. Admission is free and reservations are not required. More information about the block party and Habitat's mission can be found here on their website. If you haven't made it to Central Virginia's self-proclaimed sweetest vintage market yet you'll have another chance when ZINC. Vintage Market returns to Misty Mountain Campground this fall. The event runs September 30th and October 1st 9am to 6pm, and October 2nd 10am to 4pm. 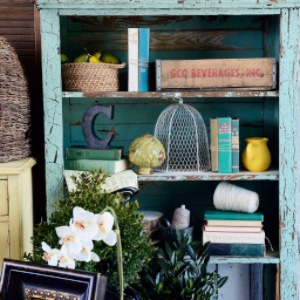 The market features unique finds of antiques, vintage jewelry, furniture, salvage , art and more! Also onsite will be live music, a kids zone, coffee, wine, beer and food trucks, so you can make a day of it! 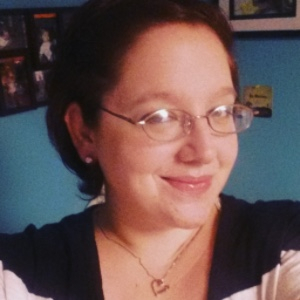 If you've visited the winery over the summer then you've probably already met Jessica! She joined the Tasting Room team this past spring and has enjoyed getting to know all of the regulars and introducing new guests to the wines. Her favorite SV wines are the Chardonnay and Sugar Hollow White. When she's not pouring wine, she enjoys baking chocolate chip cookies and watching scary movies. Check out our website and facebook page for more details and updates. 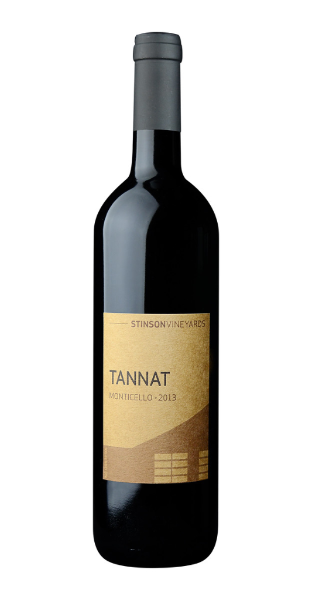 The 2013 Tannat is a rich, full bodied wine with vibrant, lively tannins. Floral and blueberries on the nose give way to toasty cedar and spicy white pepper. Tannat is a good candidate for aging due to it's structured tannins and high acid. If you can hold onto it, it should reward you! The 2013 Tannat comes to us from Mount Juliet Vineyards at Grace Estate Winery, directly across from Stinson in White Hall, Virginia. This sweeping 50+ acre vineyard was planted in the late '90s and expresses older vine Virginia terroir. 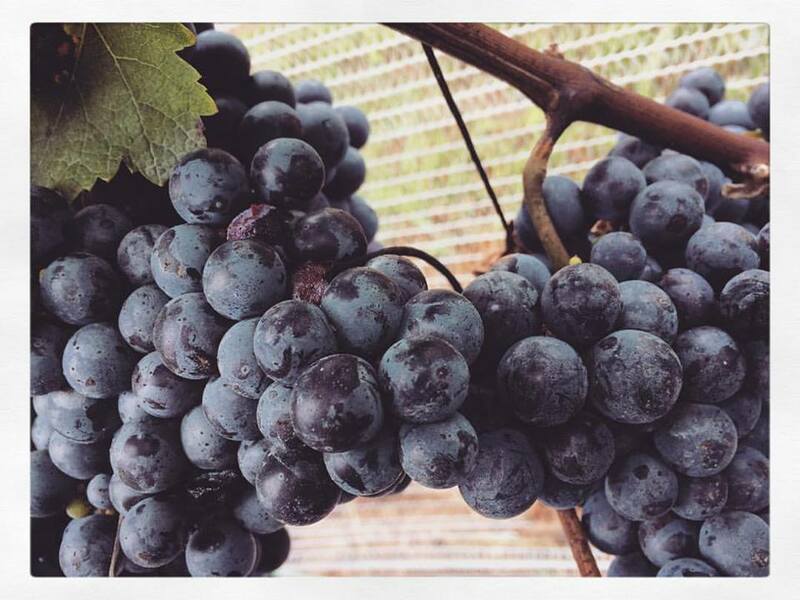 The 12% Merlot grapes are part of our very first estate fruit and contribute the purity and exuberance of young vines to the blend. 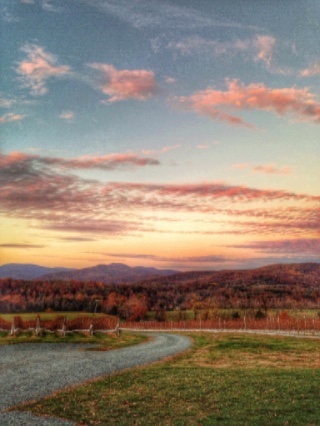 2013 was a rainy growing season in Virginia, but a few key weeks of sunny weather and perfect temperatures during harvest allowed grapes to ripen quickly. Tannat's thick skins and high acid levels give it an advantage over other varietals during wet and unpredictable harvest years. We always turn to stews and soups for easy comfort food as the temperature cools down. 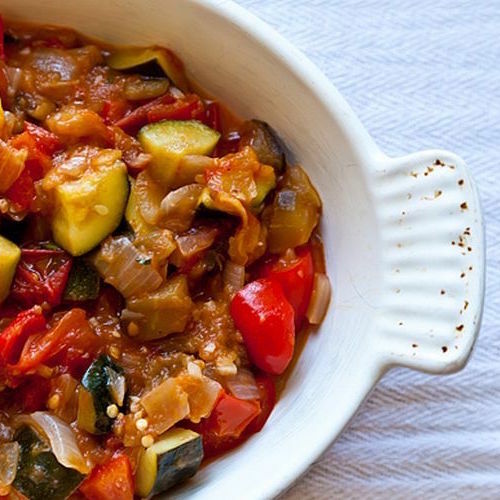 Ratatouille is one of our favorite ways to use up the last of the the season's fresh produce. This Alice Waters recipe from The Art of Simple Food is an unfussy, quick cook version - if you have extra time you can let it simmer for several hours while the flavors meld. We love it paired with the acid and depth of the 2013 Tannat. Thanks to Food52.com for the photo and online recipe. Heat 2 tablespoons of olive oil in a heavy-bottomed pot. Pat the eggplant dry, add to the pan and cook over medium heat, stirring frequently until golden. Remove when done and set aside. In the same pot, pour in 2 more tablespoons olive oil. Add onions and cook until soft and translucent, about 7 minutes. Add the garlic, basil bouquet, dried chile flakes, and a bit more salt. Cook for 10 minutes longer, add eggplant and cook another 10 to 15 minutes until all vegetables are soft. Remove the bouquet of basil, pressing on it to extract flavors. Adjust seasoning with salt. Stir in the chopped basil leaves and more extra virgin olive oil, to taste. Serve with Stinson Vineyards 2013 Tannat and enjoy!